Welcome to Go’in To The Dogs & Cats Home Page. 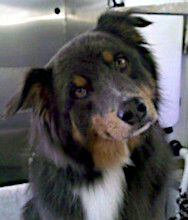 The first choice for premium mobile pet grooming services in the Prescott Tri City Area. Mobile pet grooming - professional, convenient, affordable! We are a locally owned company that has been providing high quality grooming for 31 years and boarding services for 30 years. Go’in To The Dogs & Cats offers premium mobile pet grooming services throughout the Paulden and Prescott Tri-City areas. Our company offers everything, from general grooming to teeth brushing and specialty shampooing. Don't hesitate to call. We are all about Go’in to the Dogs & Cats and providing a friendly, loving atmosphere for your pets! Hi, I’m Michele White, owner and operator of Go’in To The Dogs & Cats. I was previously a salon based groomer for 20 years, and manger for 10 years, at the same salon, formally known as Donna’s Dog Grooming, prior to starting my own mobile dog grooming business in 2008. Both myself and my husband Russell have lived in Paulden for more than 30 years and have centered our lives around our pets and yours alike. We have raised two beautiful daughters and now have 4 grandchildren. We have also raised everything from hamsters to horses, and currently own 1 horse, 1 cat and 6 dogs. Our goal is to someday retire to the open road in our motor home and have several small dogs as traveling companions. 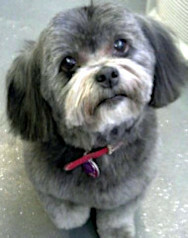 Go’in To The Dogs & Cats offers a wide range of services to our valued customers. We are open, by appointment only, Monday thru Friday. You can schedule an appointment with us by just giving us a call today!